Patagonia offers a unique environment for pumas to thrive, from tiny kittens, to becoming the largest puma species in the world. Big cat expert Boone Smith, follows a bizarre trail of carnage and death to track pumas in Patagonia. The tables are turned when a big cat starts to stalk him and he comes face to face with a hungry mother on the hunt. Despite the dangers, Boone Smith uncovers their lucrative life, in a location where their behaviors are unprecedented. 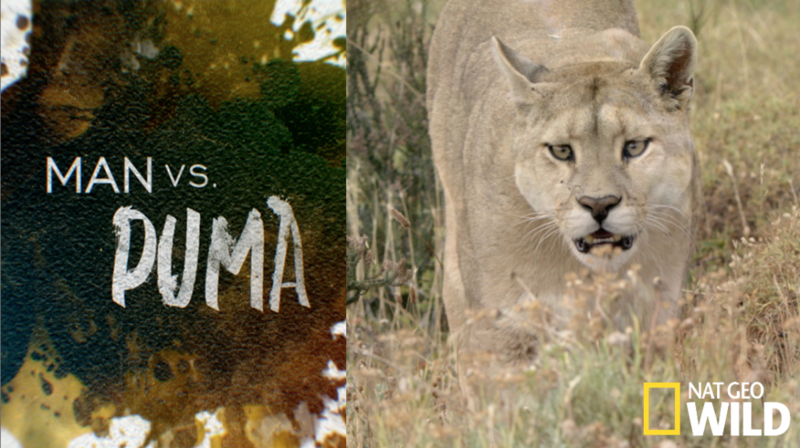 See how they grow from harmless kittens to deadly predators in Man Vs. Puma.